Devorn Jorsling handed Defence Force FC a winning restart to the 2018 Pro League campaign following the international break when he scored from a free kick to edge Club Sando 1-0 in the second game of a double-header at Hasely Crawford Stadium on Friday. 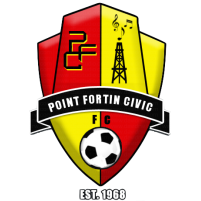 The narrow victory pulled the Marvin Gordon coached-Defence Force (13 points) within a point of second-placed San Juan Jabloteh (14 points), who were earlier held to a late 1-1 draw against Morvant Caledonia United, allowing leaders W Connection (16 points) a chance to widen the gap at the top when they travel to Mahaica Oval from 6pm today (Saturday) against Point Fortin Civic. Jomoul Francois scored his fourth league goal and fifth in all competitions to put Jabloteh ahead 1-0 after just five minutes before a power outage interrupted play at the Mucurapo Road venue. Jabloteh had done enough to starve a star-studded Morvant Caledonia side equipped with marquee signing Keron Cummings until the 81st minute, after referee Rashby Mc Phie awarded a penalty when substitute Saydrel Lewis went to ground in the box during a challenge with Jevon Morris. Sheldon Holder was denied by Christopher Biggette, who was brilliant between the sticks throughout the night, from the spot, but the Guyana international forward converted on the second bite from the rebound to level Morvant Caledonia 1-1 with his second league goal of the season. 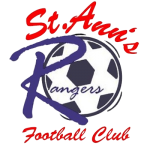 Morvant Caledonia, with 6 points and a game in hand, hurdled Terminix St. Ann’s Rangers for seventh spot by goal difference and are now three games undefeated. Jorsling later lifted Defence Force in front after 18 minutes with the eventual winner from a trademark left-footed free kick that beat the gloves of goalkeeper Kelvin Henry in Sando goal to find the roof of the net. The 34-year-old Jorsling, the Pro League’s all-time top scorer, once again proving why his skill and experience remains a huge asset to the Tetron Boys. Gordon handed starting roles to Jelani Felix, Shaquille Bertrand Justin Garcia, Aaron Lester and Kendell Hitlal, but it was veteran talisman Jorsling’s fourth league goal and sixth in all competitions this season that separated Defence Force from Sando in a highly charged contest. Jorsling, who was later replaced by Jamille Boatswain with twelve minutes left, headed another chance overbar off a cross from defender Rodell Elcock just before the half-hour mark. Dylon King, ten years Jorsling’s junior, also directed an Elcock cross away from the target three minutes from the break, and six minutes into the second half Hashim Arcia saw his shot from distance cannon off Henry’s upright. Henry denied King on the hour mark, tipping the midfielder’s free kick overbar, but it wasn’t enough to avoid defeat for Sando, which featured recent signings Jabari Mitchell in the starting line-up and Jabarry Francis off the bench. 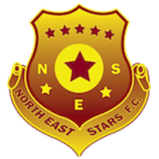 Today (Saturday), the Ato Boldon Stadium will come alive with a double-header Rangers against fourth-positioned Central FC from 4pm before Police FC and North East Stars clash from 6pm. 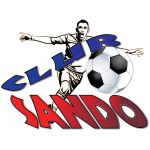 Defence Force FC 1 (Devorn Jorsling 16’) vs Club Sando 0, at Hasely Crawford Stadium. 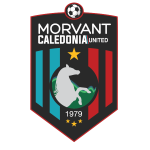 Morvant Caledonia United: 1.Terrence Lewis (GK); 4.Maurice Ford, 6.Keion Goodridge, 7.Jesus Perez, 10.Sheldon Holder (11.Quincy Ballah 82nd minute), 12.Kareem Joseph (Capt.) 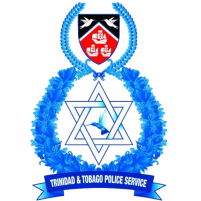 (13.Saydrel Lewis 47th minute), 14.Melvin Doxilly (5.Joshua Sylvester 70th minute), 17.Kerry Daniel, 20.Keron Cummings, 22.Joshua Alexander, 29.Aikim Andrews. Unused substitutes: 3.Richard Williams, 15.Malik Mieres, 26.Jair Edwards, 28.Jomokie Cassimy. 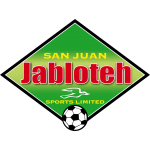 San Juan Jabloteh: 1.Christopher Biggette (GK); 3.Travis Joseph, 4.Nical Stephens, 8.Jason Marcano, 10.Jomoul Francois (7.Elijah Manners 81st minute), 15.Dellon Jagessar (5.Kevon Villaroel 79th minute), 16.Jamal Spencer, 17.Sean Bonval (14.Tyrese Bailey 58th minute), 18.Jevon Morris, 19.Joel Lewis, 20.Elton John (Capt.). Unused substitutes: 30.Shemel Louison (GK); 11.Kishon Hackshaw, 26.Akeem Benjamin, 27.Jamal Creighton. 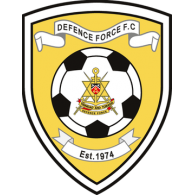 Defence Force FC: 25.Sheldon Clarke (GK); 6.Rodell Elcock, 7.Jelani Felix, 9.Devorn Jorsling (Capt.) (90.Jamile Boatswain 78th minute), 10.Hashim Arcia, 15.Shaquille Bertrand (8.Brent Sam 66th minute), 17.Curtis Gonzales, 26.Justin Garcia, 27.Aaron Lester, 45.Dylon King, 77.Kendell Hitlal (18.Reon Moore 62nd minute). 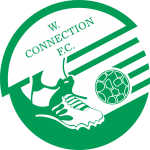 Unused substitutes: 4.Dave Long, 5.Jerome Mc Intyre, 23.Kerry Joseph, 80.Aaron Enil. 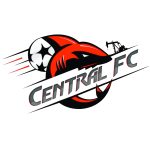 Club Sando: 34.Kelvin Henry (GK); 5.Trevin Latapy, 7.Akeem Humphrey, 8.Kevon Piper (15.Jabarry Francis 72nd minute), 10.Keron Cornwall, 11.Jabari Mitchell (25.Aaquil Campbell 72nd minute), 13.Shakiyl Phillip (9.Shackiel Henry 65th minute), 17.Tyrone Charles, 23.Nicholas Thomas, 27.Jayson Joseph (Capt. ), 44.Josiah Trimmingham. Unused substitutes: 33.Enrique Changiah (GK); 18.Aaron Kennedy, 19.Quinn Rodney, 21.Derron John.